Motor Inn accepts online payments through Paypal (www.paypal.com). For those who are not familiar, PayPal is an international e-commerce business allowing payments and money transfers to be made through the Internet. Online money transfers serve as electronic alternatives to paying with traditional paper methods, such as checks and money orders. 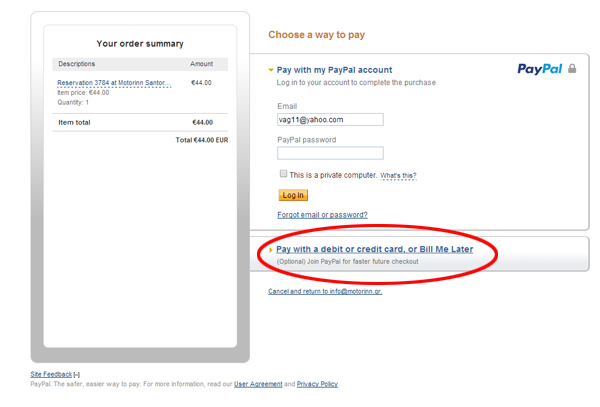 Note that you can make a payment through Paypal without having an account! 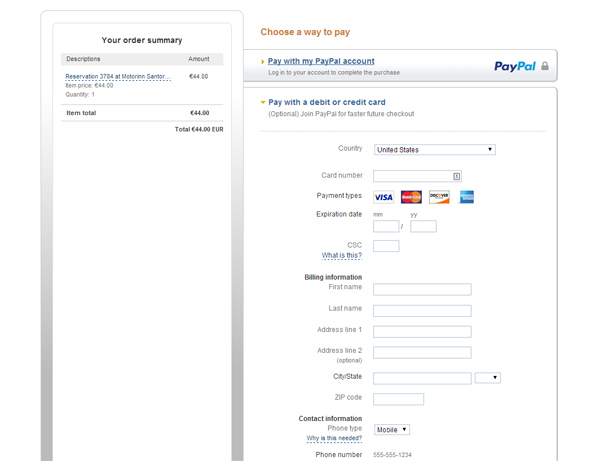 We provide three simple steps for our customers who are not experienced with the Paypal interface and payment process. 3. 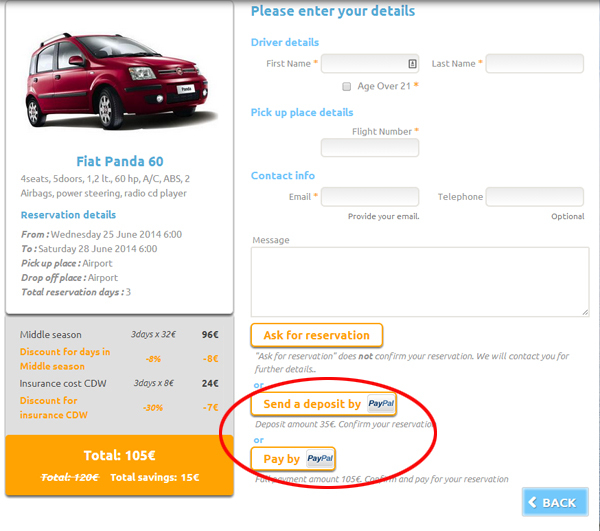 Now you can safely input you credit card data and complete the checkout. Note that according to your country, Paypal will provide the available payments methods (Visa, Mastercard, American Express, etc) for your territory. By the time Paypal checkout is completed, you will be redirected back to the Motor Inn website. Hope you find the whole process easy! If you have any problems or questions please use the contact form. Excellent service and prices, new bikes! In our three weeks in Greece, this was the best rental spot. Stefanos delivered our motorcycle to us and was extremely helpful and accommodating. The bike was brand new and fantastically priced. Love this place.